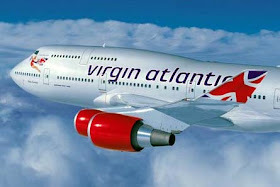 British mega carrier, Virgin Atlantic Airways, has fired all its Nigerian flight attendants, Sunday Punch reports. The carrier, majorly owned by the British business mogul, Richard Branson, gave notice of termination of employment to its Nigerian cabin crew members a few weeks ago, industry sources close to the airline told their correspondent. The sources, who spoke under the condition of anonymity because they were not authorised to speak on the matter, added the action was purely “a business decision” from the office of the airline in the UK.